SC.8: Flown in Vickers Varsity - WF 370 - on a flight to Vaernes, Norway . 50th. 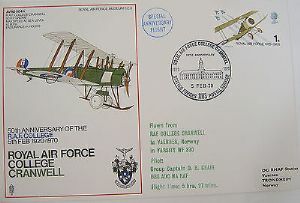 Anniversary of the RAF College, Cranwell on the 5th. February 1970.